This Java version (Java 8) comes with full source code. Download. A fast version with full source code based on MPIR (see below). Download. Requirement: Only the MPIR library. Can be easily adapted to other libraries also. Written in conformance with C++11. Download the code here. With this marvel you can compute the factorial of 100.000.000 in less than a minute -- if you want to see first how large this number is look here -- with an off-the-shelf computer vintage 2010. See also this benchmark. 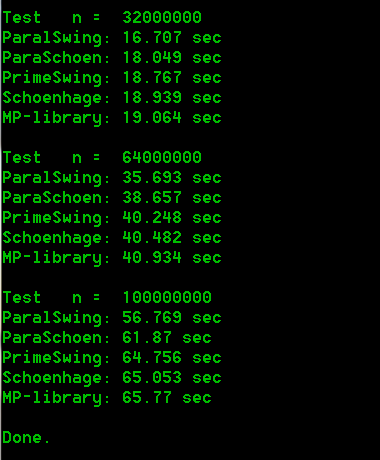 Observe that using MPIR as a low-level library can speed up your program considerably compared to using the higher level functions directly. 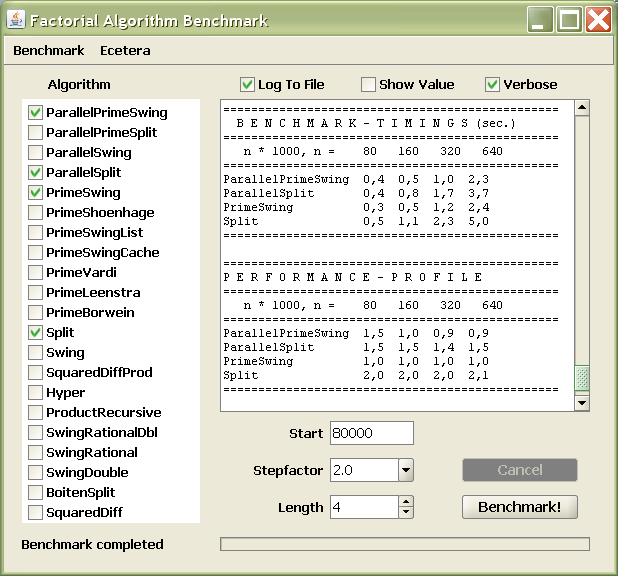 For instance the above picture shows that a simple parallel implementation of the factorial function is 15% faster than the MP-factorial function.